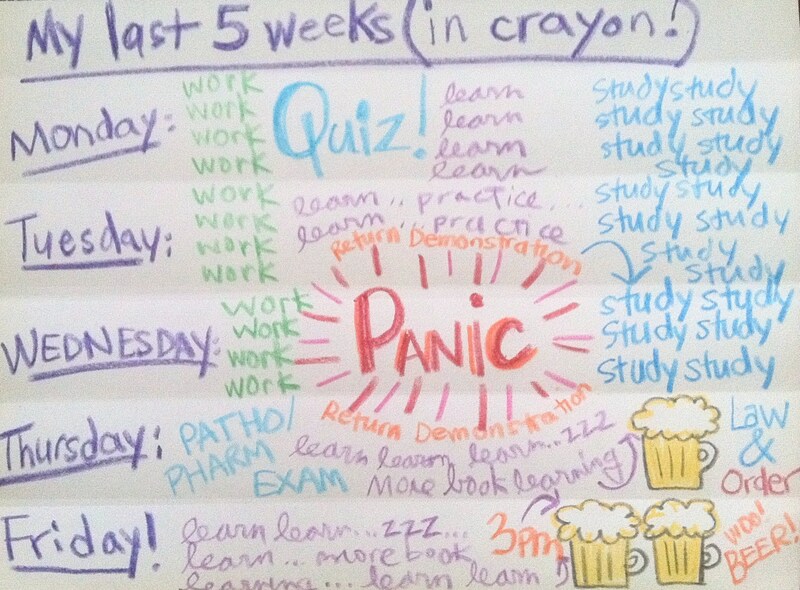 my last five weeks (in crayon)! | wow…this is awkward. ← why wednesday was like an episode of “chopped”…. my last five weeks (in crayon)! But now, all has changed! 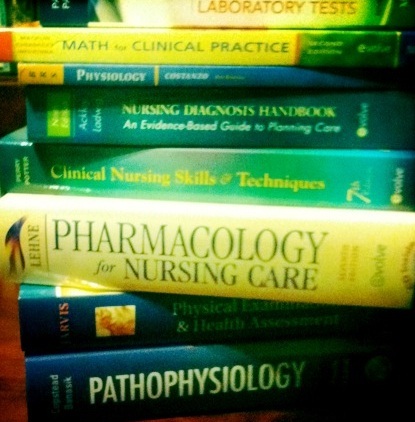 This week, I have to demonstrate that I know how to give a physical exam. That’s it! Sure, I still have to work, and we have class on Thursday and Friday, but there are no exams this week. Next week, we have hospital orientation, and the following week, we begin Clinicals. Pretty exciting! This entry was posted in nursing school and tagged crayons, nursing. Bookmark the permalink. 2 Responses to my last five weeks (in crayon)! And before the “doink, doink”…..These are her stories. Such a true to life illustration…especially the beer! I totally get you! !